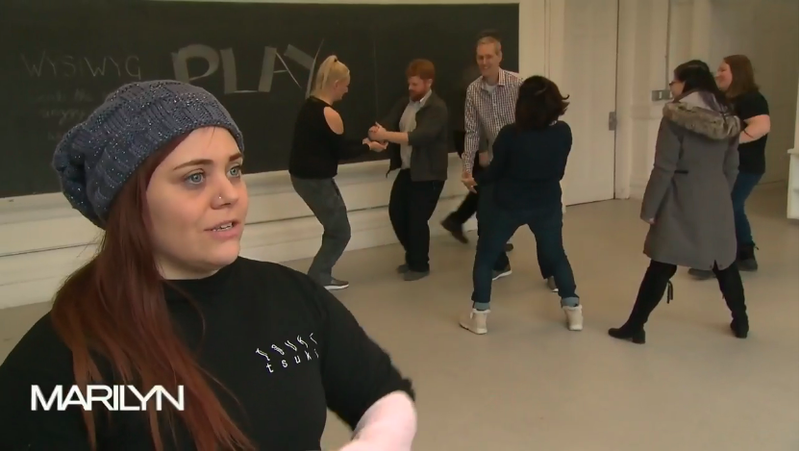 What happens when you email your anxiety class students and ask them to be on national TV, playing silly games, in the middle of a workday, on two days’ notice? Well, if they’ve done improv, apparently they say “Yes!” “And… “ they’ll even be interviewed! I’m always a little nervous about being on TV, but it helps to have a supportive group of friends playing silly games and laughing behind you. Play is essential to mental health, but we don’t prioritize it. Follow us on Instagram @playwithfireimprov.com for easy ways to get more play in your day. That’s the point of this video. Be okay failing and love yourself afterwards. It’s my first video, so be gentle.